Awnings and canopies can both be an excellent addition to your outdoor space, whether at home or for your business. 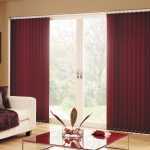 The two different options have similar benefits of creating a comfortable outdoor space which offers some protection from harsh sun and the elements. 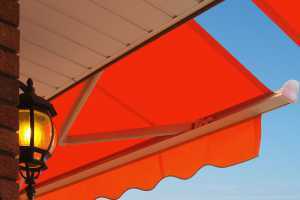 However, there is often confusion as to what the differences between a canopy and awning actually are – indeed, some will use the terms interchangeably. We’ll clear up what the distinction between the two is and how to use each option to the greatest effect in this article. 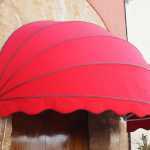 The difference between awnings and canopies is one of structure. An awning is a fabric covering which is attached to the exterior of a building, often over a window or door. It can be extended or retracted to provide shelter when you wish. A canopy, however, is generally a freestanding structure, supported by posts and topped with a fabric roof. Canopies can, therefore, be disassembled and moved to other locations due to the fact they aren’t attached to a building. Awnings are a permanent fixture once installed. They are a great option for shelter if you don’t have a lot of space, or for creating smaller areas of shade and protection. Since awnings are fixed to a building and don’t have any vertical supports, they are somewhat limited in size. Small to medium sized patios or decks can easily benefit from an awning, but larger areas would require a canopy. The fact that an awning doesn’t require any vertical supports is advantageous in that the space is left completely open and unobstructed – especially desirable for making the most of smaller spaces. At a domestic property, an awning can be used to create shade over a window which receives a lot of direct sunlight. 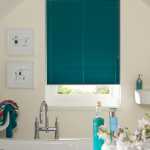 This can be desirable as it will keep the room cooler and can prevent furnishings from getting sun bleached, whilst still allowing a lot of natural light into the room. The shade from an awning can be used to make a pleasant outdoor area which is protected from harsh sunbeams and rain. This can provide the perfect space for a comfortable seating area for any season. Awnings can come in many different fabrics and styles, so there is sure to be options that are to your taste and which complement your home. At commercial properties, such as shops and cafes, an awning can make the exterior of your building a lot more attractive, as well as having practical benefits. Awnings can be used to create a sheltered space outside your building; this could be put to good use for enhancing outdoor seating or to ensure outdoor displays aren’t completely at the mercy of the elements. Canopies are a versatile method for creating shelter, from sunlight to rain. The freestanding structure can be placed anywhere in an outdoor area, limited only by the space you have available. A canopy is not limited in size in the way that awnings are; canopies are ideal if you want to create a shady spot over a large area. This can be a great option if you want an outdoor, social space – for example for housing garden furniture, holding garden parties or having a barbecue – which is still protected from rain and excessive sun. The fact that canopies can be disassembled means that they are very flexible. You could dismantle the canopy and take it with you if you move house, or take it for use at outdoor events. Even being able to move the sheltered space about your garden can be a useful feature. Furthermore, canopies can withstand windy weather much better than awnings, and their design generally lends itself better to facilitating rain runoff. In a commercial setting, canopies can be a great addition to the outdoor spaces of cafes and restaurants, allowing comfortable outdoor dining in bright sunshine and providing protection through rain showers. Businesses can also utilise canopies at events like trade shows and fairs, creating an attractive, sheltered space to showcase their products. The choice between an awning and a canopy will much depend on individual circumstance and preference. We hope this article has helped clarify the differences between the two options and helped you to decide which option best suits you. Denton Blinds offer a wide range of awnings and canopies across Burton on Trent and Kettering, which are available in a variety of styles and materials. Making an attractive addition to both domestic and commercial properties, an awning or canopy provided and installed by us is guaranteed to be finished to a high standard. Get in touch with us today for advice or further information from one of our experienced team.